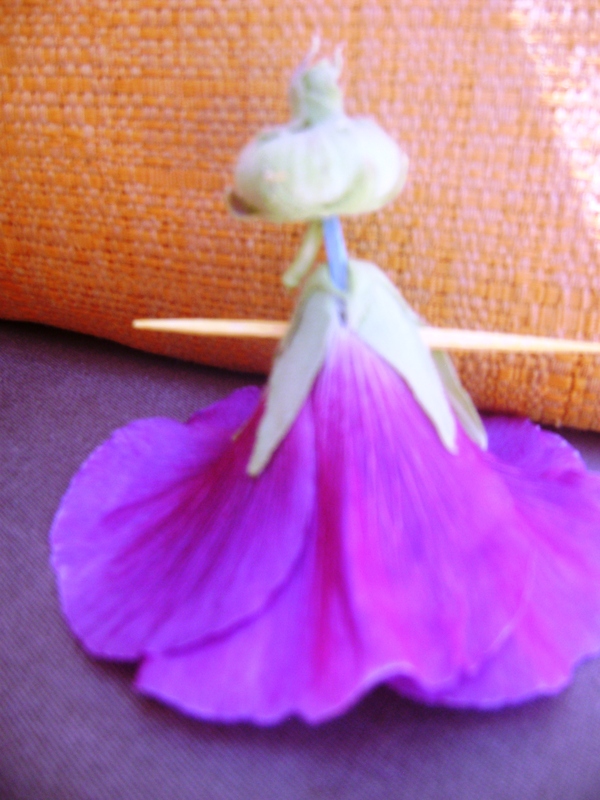 When I grew up in Des Moines, Iowa, hollyhocks grew like weeds in the alleys and my friends and I used toothpicks and hollyhocks to create dolls now and again. 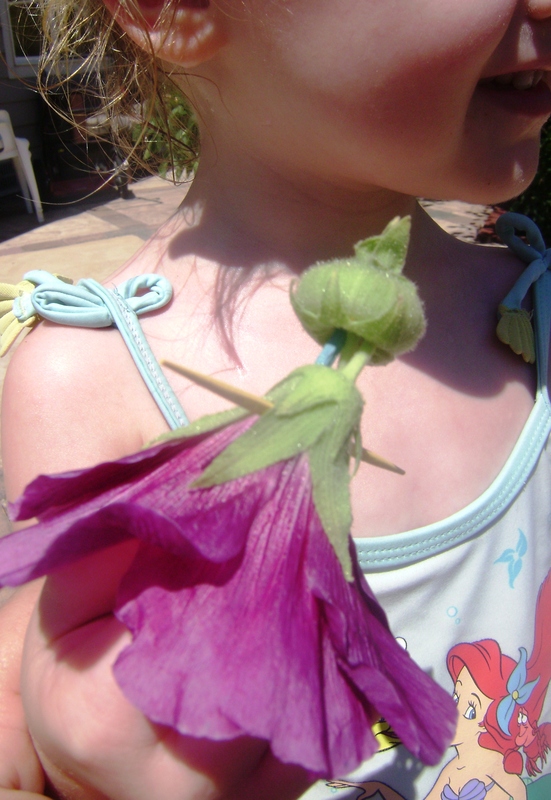 One toothpick was inserted into an unblossomed bud and then connected to an upside down bloom. The second toothpick was poked through “the body” horizontally for “arms”. Sometimes we held the toothpick between our finger and thumb under the “gown” and made our little dolls dance and twirl. Guini and I made one a couple of days ago in between splashing pool times. She is my “flower girl,” loving all the flowers and their names. NOTE TO SELF: Disperse the numerous hollyhock seedlings round the yard for more fun next year.